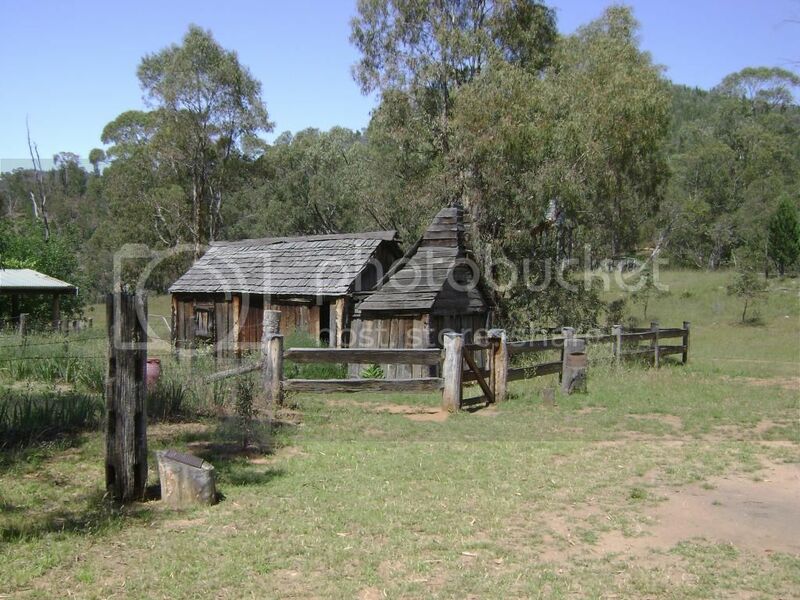 Beautiful capture..... Bushwalked all through that area. Thanks for the reminder. Thanks gents. Popeye, we were sitting on the verandah of a remote little hut enjoying a couple of sundowners when I saw the thunder head. It was a mad rush to find the tiny Sony instant cam. and record it before it changed to much or dusk hid it. If you remember the old Suggan Buggan School down near the river on the main road, we were involved on another trip in assisting the erection of a new post/rail fence around it. Lovely country with all the pines. Popeye, found this old pic. of the school, same trip in 2007.
love that thunderhead samboz. It sure would've been a shame to miss it. Did it put on a light show for you as well? Dusting off the grey matter after seven years stl, nothing very spectacular comes to mind as far as a light show. I don't think there was much to speak of. The sundowners may have distracted as well as the excellent company.... lol. My homemade chardonay (only white grape available) was OK but lacked some body. Lots of ABV but not much else really. 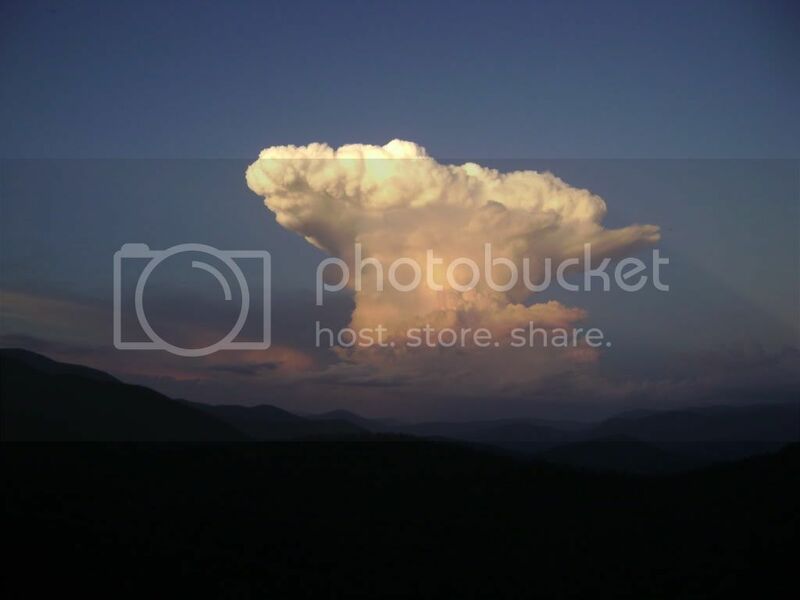 The thunderhead was sitting over the Snowy River up near the border with NSW approx. Is it truly a thunderhead if no one hears it thunder? Awesome photo, I think I prefer clouds over lightning shots these days, getting a bit sick of lightning unless it's got other elements. Interesting point C#3, although to be pedantic I didn't say I didn't hear thunder ....lol.... although light and thunder go hand in hand generally speaking. Thunderhead is my uneducated colloquial term, more correct terms most likely apply - I would be interested in same. Education is an important facit of this forum so please help us beginners out where you can. Edit...small item of interest, the gate at the school at Suggan Buggan was made by Nigel H., he is also known as the A.B.C. 's Cultural attache for Gelantipy. He made the gate and hinge using wood only, no nails etc. The odd wood peg here and there through a drilled hole if I remember correctly. Yeah I was just kidding I think thunderhead is a great name for it. Talking about lightning pics C3, some spectacular ones on this forum, best I've ever seen. I know! I'm always so impressed with the level of effort put in from people here. I might be a bit bias but the South Aussies do some great work. Seems like if there's more than 5 strikes around the Gulf, someone will get a photo or two out of it. I love shots of isolated clouds, and that one just happens to be over beautiful country at a beautiful time of the day. Love the shadow line its casting too. Catching a clear air CG coming out of the thing would have been a 1 in a million icing on the cake, but you cant have it all eh? Great shot mate. I saw one similar near Ayr in Nth Qld 15 years in the middle of the day with a black rain area underneath set against a clear blue sky ago and to this day am regretting that I didn't have a camera. Well done and thanks for sharing. "water has c.30x the heat capacity of air. Someone drop the penny please for those fixated on the notion that the atmosphere is the driver ( preferably in 3D)". c#3, Thanks for the info, S.A. pics - never seen better. Such clarity and composition, makes a fella want to strive to get better at it. Also thanks for the comments re the thunderhead. I found "anvil" in a glossary, is that a relevant term to my pic ? Paisley, so true and I must have been sitting with my back to the t'head and didn't see it forming up to get more pics of it, took two and that was pretty much it. Lightning out of it would have been beaut. coldfront, your example during the day would have been a ripper. Yeah that's what you'd call the anvil. It's a very anvil looking anvil too Great shot! Thanks things, just catching up on correct terminology to understand the posts better. 7 registered (Lee@Hazo, Locke, mysteriousbrad, Multiversity, Homer, Tempest, 1 invisible), 57 Guests and 3 Spiders online. Generated in 0.015 seconds in which 0.002 seconds were spent on a total of 13 queries. Zlib compression disabled.